Our law will generally hold you liable for damages only if someone else can prove that you caused them loss/damage/injury through your “fault” (intent or negligence). That seems fair and logical – if it’s your fault, you pay. If however the loss was caused by your animal/s, you are in a much more dangerous position - you can be sued on a “no fault” or “strict liability” basis. And that’s a sobering prospect. It means that bad behaviour by Maxie the Mongrel, Skollie the Cat, Daisy the Cow, or even (per an old 1926 case) your “domesticated” swarm of bees, could leave you with a bill for millions without your being in any way careless or at fault. Ignorance of that risk is very definitely dangerous rather than bliss. A recent High Court case illustrates. The claimant was walking down a public street, minding his own business and with every right to be where he was, when three large “Pitbull type” dogs attacked him, viciously and without provocation. He was very seriously bitten and ultimately had his left arm amputated at the shoulder. He escaped more serious injury or even death only through the courage of a passer-by who fought the dogs off (and was himself attacked for his trouble). The victim claimed R2,341m in damages from the dogs’ owner. The dogs had no history of biting or attacking people and were treated as house dogs. They had the run of the owner’s house and garden/yard, which was walled and fenced off from the street. Access to the street was via a gate which was (said the dogs’ owner) normally kept locked, and was on the day in question double-padlocked. An intruder, claimed the owner, had in his and his family’s absence broken the gate open and left it open – giving the dogs access to the street and to their victim. The victim was unable to prove that the dogs’ owner rather than an intruder had left the gate open, so had failed to show that the owner had been negligent in any way. But, held the Court, the owner was still accountable on the basis of an old Roman law – the “pauperian action” or actio de pauperie – which makes you strictly liable for the consequences of your domesticated animal’s behaviour. The thinking behind this ancient law incidentally was that “an animal (being devoid of reasoning) is incapable of committing a legal wrong” and there have been suggestions that it be scrapped in our modern law. But as of now it is still very much enforced by our courts, and you remain at risk. Pauperian liability is a complicated subject (involving much Latin and learned judicial interpretation of ancient laws) and you will need specific legal advice if you find yourself on either side of a claim. But in a nutshell you are liable only if your domesticated animal (different rules apply to wild animals) acted from “inward excitement or vice” and against its natural behaviour. You do also have several defences available to you, such as the victim contributing to his/her loss through their own actions (provoking an attack or trespassing for example) or – the defence raised in this case – where the loss results from the negligence of another person. Again, a complicated subject needing specific legal advice, but out of interest let’s have a look at how the Court in this case dealt with the particular defence raised. The defence in question is available if you can prove that a third party had control of the animal but negligently failed to exercise that control properly. 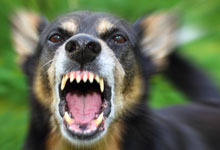 The dog owner in this case asked the Court to extend that defence to cover his situation where the intruder had no control over the dogs, but negligently gave them the opportunity to attack the victim. The Court refused, holding that the defence only applies where the third party has control of the animal. The dog owner must therefore pay the victim whatever level of damages he can prove. So – bottom line - you are liable even when the fault lies with someone else, and even when you are completely without fault, unless that other person had control of the animal at the time. First step obviously is to reduce the risks your animals pose to others. Then check that your insurance will cover you if you are sued. Disclaimers of liability need careful wording to afford any hope of protection. The Court’s decision - the building plans had not been properly approved. They must go back to the municipality for re-assessment, and the developer is accordingly back to square one. Presumably a demolition order will be on the cards if they are ultimately unsuccessful in having their plans passed. AARTO (the Administrative Adjudication of Road Traffic Offences Act) has been partially in force for years, but its demerit provisions have been on ice for so long now that many of us have lost sight of just how seriously it will impact both ourselves as individuals, and our businesses. Law-abiding motorists will no doubt welcome the crackdown on serial traffic offenders, but we also need to manage the risks. Every motorist, every vehicle owner, every professional driver and every transport operator will be at serious risk of losing their licences/permits/operator cards. Even businesses outside the transport sector will need to manage this – what happens if your sales people are grounded or your office staff can’t drive to work? The wheels are turning fast now, with amendments to the Act at long last passed by Parliament, and set to come into law when signed by the President. Will it be delayed yet again? The demerit proposal has been bouncing around for a decade, with several false starts and there is talk of court challenges, plus the commencement date may or may not be delayed. But at long last the wheels are definitely turning, and turning fast. The demerit system is complicated, but in a nutshell you will in addition to paying a fine incur demerit points for a whole range of offences. And anyone with 13 or more demerits will have their driver’s licence/professional driving permit/operator card automatically suspended (3 months’ suspension for every point over 12). And 3 suspensions will result in full cancellation. Don’t think that 13 demerits will necessarily take the average driver a long time to accumulate. 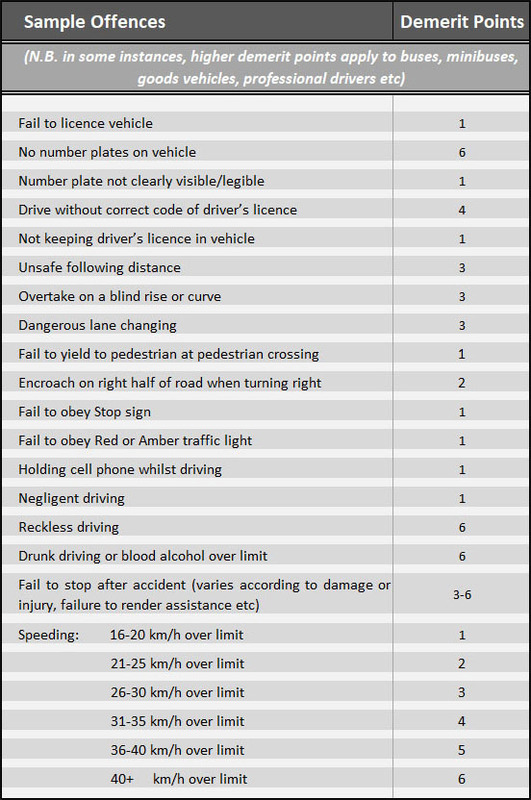 Consider the demerit points applicable to some sample offences (there are many thousands of them – the table below gives just a few examples). Any demerit points you have picked up are reduced by one point per 3 month period you remain offence-free. Early payment of fines will earn you a 50% discount. Set up a payment control system so you don’t miss payment deadlines. How will you monitor your drivers’ demerit points? Although for many offences both driver and operator will incur demerits, some driver offences will apply to the driver only. Are your employment contracts correctly structured to ensure you have access to your employees’ demerit points’ status? And to deal with the consequences if they have their licences suspended or cancelled? 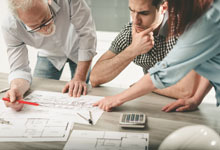 Check your insurance policies – must you disclose any changes in your employees’ demerit status? Are you at risk of losing cover? Certain types of claim (such as divorce matters, some damages claims, interdicts, will disputes etc) must also go to the ordinary courts. Music, science tells us, really can help us work, and learn, and be creative. Earphones mean you can listen to your favourite tunes all day with zero disruption to your fellow employees (and clients waiting in Reception! ), and you’ll never be short of new music with a streaming service and a high-memory smartphone. But what should you listen to? 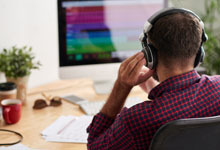 “Create the perfect playlist for productive work” on Quartz discusses how music can enhance workplace performance (employers take note! ), and what musical tempo (beats per minute) can help induce the alpha state in your brain so that your mind becomes calm and alert, with heightened concentration.